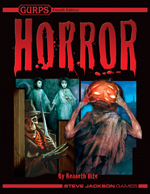 GURPS Horror, Fourth Edition, is the latest incarnation of one of the most popular GURPS supplements ever . . . and now it's been given a new lease on unnatural life by horror master Kenneth Hite. Its time-tested advice on running scary campaigns has been expanded to include current trends and tropes, showing you how to run everything from old-fashioned Gothic and supernatural horror to the latest J-horror, survival horror, and torture horror. The famous bibliography of unspeakable tomes and frightening films has grown to match. And the monsters return with unpleasant friends, as monsters inevitably do – all with GURPS Fourth Edition racial templates that let you use them as foes, as sinister Allies and cursed Alternate Forms, and even as PCs! Add the new and disturbing powers, the expanded rules for madness and corruption, and countless other updates, and you have everything you need to drag your horror campaign screaming into the 21st century. What's that groaning, shuffling noise that grows closer . . . ever closer? Unleash the horror of zombie hordes, with GURPS Zombies. Explore a complete campaign setting that pits humanity against the horrific irruptors gnawing at the edge of reality, with GURPS Horror: Madness Dossier. Rules for variant forms of magic – many suitable for horror campaigns – can be found in GURPS Thaumatology. Let your eyes adjust to the dark; the shadows teem with threats. The GURPS Creatures of the Night series contains more awful terrors, waiting to be uncovered. For those who want to strike back against the forces of darkness, the GURPS Monster Hunters series will prove invaluable, as should GURPS Loadouts: Monster Hunters. Travel to alternate Earths teeming with terror, with GURPS Infinite Worlds: Worlds of Horror. 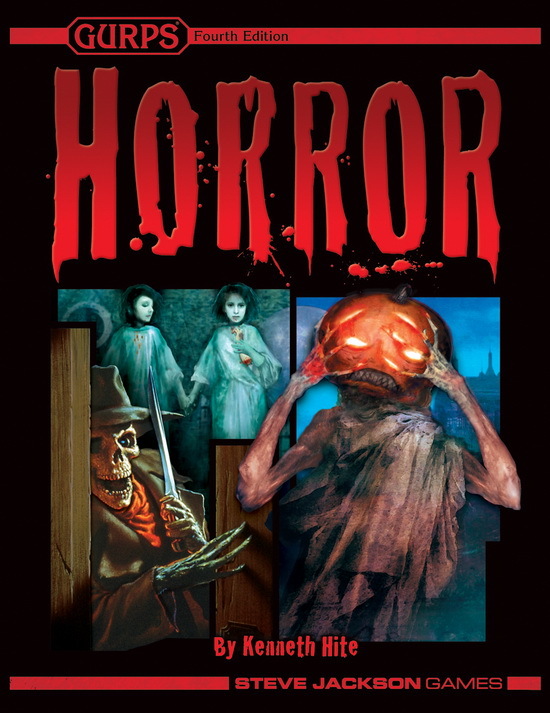 For strange and terrifying objects you can add to any Horror campaign, check out Pyramid #3/81: Horrific Creations. Investigate a strange tale where nothing is as it seems, in the adventure "The Disappearance of Father Cohen" from Pyramid #3/84: Perspectives. Unleash additional zombies and zombie-related ideas – including playable zombies who have free will, from GURPS Zombies author Sean Punch – with Pyramid #3/92: Zombies.